Yum~ I LOVE Steak n' Shake....... 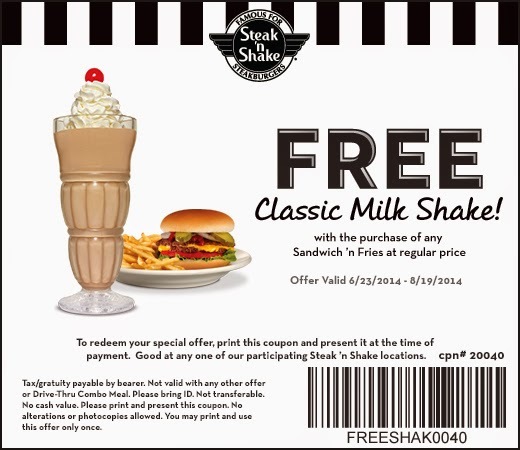 Right now, you can grab a FREE Steak n' Shake treat with the purchase of a sandwich and fries. Go HERE for the details. My favorite shake is the peanut butter chocolate.. Please note that this coupon is valid through August 19th. Enjoy!